The Mt. Crested Butte Town Council has approved allocation of its 2018 admission tax grants to eight different entities representing 13 separate requests. The 4 percent tax, collected on all events that enter or end in Mt. Crested Butte, is meant to be allocated for transportation (25 percent) and marketing (75 percent). The marketing funds are to be used to augment existing efforts, external marketing services, and promotional programs to entice visitors to come to the town. Applications were due by August 30, and applicants were then required to present their request to the Mt. Crested Butte Town Council in a special meeting on September 11. Those awarded funding are required to submit a written follow-up report within 60 days of an event describing their success in terms of bringing visitors to the community. All applicants in this cycle were repeat applicants from previous years, according to Mt. Crested Butte town manager Joe Fitzpatrick. 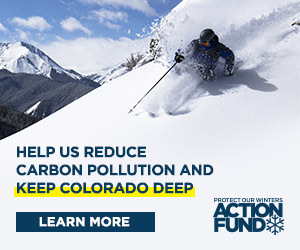 The largest grant was allocated to the Gunnison-Crested Butte Tourism Association for winter alpine skiing promotions and air travel promotions for $160,000. CBMR received grants of $12,500 for its Unplugged/Ski Town Breakdown events and $15,000 for Military Appreciation Month. The Crested Butte/Mt. Crested Butte Chamber of Commerce was awarded a $40,000 grant for the Fat Bike Worlds event, $5,000 for its Light Up Night holiday event, and $5,000 for its Crafted (beer tasting) event. Crested Butte Lodging received $25,000 for marketing, and Travel Crested Butte received $20,000 for its Colorado’s Powder Playground campaign and $30,000 for its 72 Hours in Crested Butte campaign. The Adaptive Sports Center received $16,500, and the Nordic Council received $12,500. The admissions tax revenue for the year to date (as of November) is $572,000. The Town Council approved $420,090 in marketing grants, and the remainder will be allocated to the Mountain Express general fund. The program has been in effect since 2002.